We know it’s a big responsibility owning a home or commercial space, but at A-Professional Heating & Air Conditioning, we strive to make it easier on you. Whether your home’s air conditioning or heating unit needs to be replaced or your commercial units needs a repair, you can count on us to provide you with exceptional customer service and workmanship. Having a comfortable space year round is important, especially living in Hammond, LA where the temperatures can be extreme. Call us today to schedule an appointment or schedule service online. Thanksgiving began in 1621, but didn’t become a national holiday until 1863, when Abraham Lincoln declared it in hopes of bringing a divided nation together. We have many Thanksgiving traditions in this country, from turkey at the meal to the annual Cowboys and Lions games on television. But one of the most beloved is the annual Presidential turkey pardon, in which the U.S. President “pardons” a turkey to life in a petting zoo rather than ending up as someone’s main course. As we celebrate this Thanksgiving, we thought you’d like to know a little more about the history of this fascinating tradition. Farmers have sent turkeys to the White House as far back as the 1800s, hoping to have the honor of providing the President’s annual meal. There have been scattered stories of individual turkeys being “pardoned” throughout that time, including one in which President Lincoln’s son Tad successfully convinced the president to spare a bird intended for the family’s Christmas dinner. Starting in 1947, the National Turkey Federation became the official supplier of the President’s Thanksgiving birds. The White House arranged for an annual photo op that year with the President receiving the turkey in the Rose Garden. Sadly, there was no pardon as yet; those birds all ended up on the Presidential table. The push for an official pardon picked up steam in 1963, when President Kennedy ask that the bird be spared just a few days before his assassination. President Nixon opted to send each of the birds he received to a nearby petting zoo after the photo op, though there was no formal pardon attached. But it wasn’t until 1989 that the pardon became official. On November 14 of that year, President George H. W. Bush made the announcement, and sent the bird to a Virginia game preserve to live the rest of its life out in cranberry-and-stuffing-free bliss. Since then, every President has held an annual pardoning ceremony, with the lucky turkey spared the axe and sent off to live in peace. Since 2005, the pardoned birds have gone to Disneyland in Anaheim, California where they have lived as part of a petting zoo exhibit in Frontierland. No matter what traditions you enjoy this holiday, or who you enjoy them with, all of us here wish you a peaceful and happy Thanksgiving weekend. Cleaning your ductwork sounds like an enormous amount of work. And it is, we won’t lie to you about that. However, you need to have it done for a number of important reasons, which we’ll outline here for you. But you don’t need to do the hard work; in fact, it’s better if you don’t. Leave the job of duct cleaning in Hammond, LA to experts. A–Professional Heating and Air Conditioning offers comprehensive duct cleaning in Hammond, LA, in addition to other services that will improve your indoor air quality and your HVAC system’s performance. Because Americans on average spend 85% of their time indoors, the quality of the air inside homes and buildings is especially important. The U.S. Department of Health has determined that poor indoor air quality is one of the major health threats in the country. One way that you can improve the quality of the air you breathe in your home is with annual duct cleaning. Because your ducts are sealed along their length, there isn’t anywhere for the dust inside them to escape once it starts building up. A faulty or clogged air filter will also cause more dust contamination—and eventually this will blow out through your vents. A thorough cleaning will cleanse these pollutants and improve the air you breathe daily. Ducts covered with dust will increase resistance to the air moving through them. This will force your air conditioner and heater to labor harder. The more stress placed on your HVAC system, the faster it will wear down and require repairs, or even a full replacement. The dust blown from dirty ducts through vents does more than contaminate the air you and your family breathe. It also spreads over carpets, furniture, and household surfaces. You’ll struggle keeping your house looking clean and pleasant if clogged ducts continue to waft dust everywhere. Duct cleaning involves more than using a whisk broom to sweep out the visible surfaces. Professionals need to access the difficult to reach sections of your ductwork and apply tools such as power vacuums, chemical sanitizers, and rotary brushes to give you the best cleaning. If you should have a microbacterial infection, duct cleaning specialists have UV germicidal lights that can eliminate the problem. When you need experts who will do a thorough job with your duct cleaning in Hammond, LA, get in touch with A–Professional Heating and Air Conditioning. We can do more for you than duct cleaning: we install air filters and perform duct sealing. We’re available 24 hours a day for emergency services. Is a Commercial HVAC Replacement Worth It? Commercial heating and air conditioning equipment is large and quite complex. As any commercial property owner can tell you, it is also quite costly. While investing in a replacement commercial HVAC system is certainly a major investment, there are many situations in which this is simply the best course of action. While only a skilled commercial HVAC replacement technician can advise you whether or not a replacement is necessary, there are some factors to consider which may help you determine if a replacement is right for you. Here is some information from the Hammond, LA commercial HVAC professionals at A-Professional Heating and Air Conditioning which can help you recognize a need for commercial HVAC replacement on your commercial property. 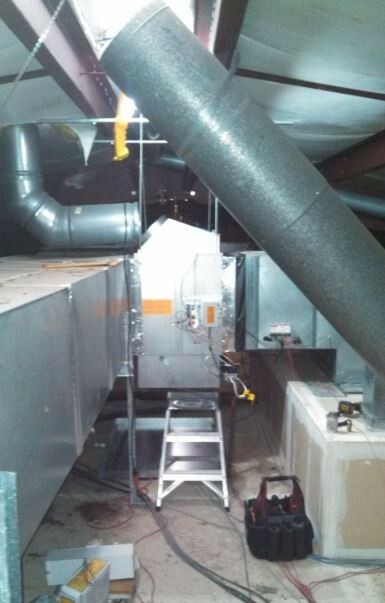 In many situations, your commercial HVAC equipment can be repaired rather than replaced. Just because your system can be repaired, however, does not mean that this is the right move. Before continuing to repair your system, you should take into account the frequency with which repair needs crop up. If you find that you are often contact a commercial HVAC repair technician to resolve problems with your equipment, a replacement may actually be more cost effective, despite the upfront expense. With a new system, properly installed of course, you will enjoy a more consistent and reliable heating and cooling performance while spending less on repair services. This can help to offset the initial investment over time. The age of your commercial heating and air conditioning equipment must also be carefully considered. While your commercial HVAC equipment may actually be working just fine, it is very possible that older equipment simply may not be capable of reaching the efficiency levels that more modern systems boast. Investing in a new system can be costly, yes, but if you can pay less money for a better performance over time then you can recoup much of that primary spending in energy savings. To discuss your Hammond, LA commercial HVAC replacement options with a qualified professional, give A-Professional Heating and Air Conditioning a call. We can answer any questions you may have. Contact us today to learn more about the replacement options available to you. Posted in Air Conditioning | Comments Off on Is a Commercial HVAC Replacement Worth It? Louisiana is a pretty warm place for much of the year, but the heat does not stick around year long. This means that the heating system in your home is every bit as important to your overall comfort as your air conditioner is. You can invest in the greatest heating system on the market but still fail to get the best performance it has to offer, though, if you fail to schedule your heating installation service in Hammond, LA with a skilled professional. Do not put your comfort in jeopardy this heating season. Contact the heating installation pros at A-Professional Heating and Air Conditioning. We’ll make sure that you get the most out of your heater. The first step in ensuring that you get a great performance from your heating system is to discuss your heating options with a qualified heating installation technician. While furnaces are still at the top of the game, there are many other systems to choose from. If you enjoy the comfort that a forced air distribution system has to offer but are also interested in boosting energy efficiency, a heat pump may be right for you. No room for air ducts in your home? No problem. A ductless mini split system allows you to keep your home comfortable all year long without the use of ductwork. You may even want to consider the installation of an old fashioned fireplace or wood burning stove. There is no “right” method of home heating, only that which is right for you. Another important part of ensuring that your heating installation is a success is to schedule your service prior to the heating season. As the season gets closer, technicians enter the busiest service time of the year. Putting off your heating installation may result in a delay of service and a disruption to your comfort. Call to schedule your heating installation or replacement before the chill of winter arrives, and be ready for what lies ahead. 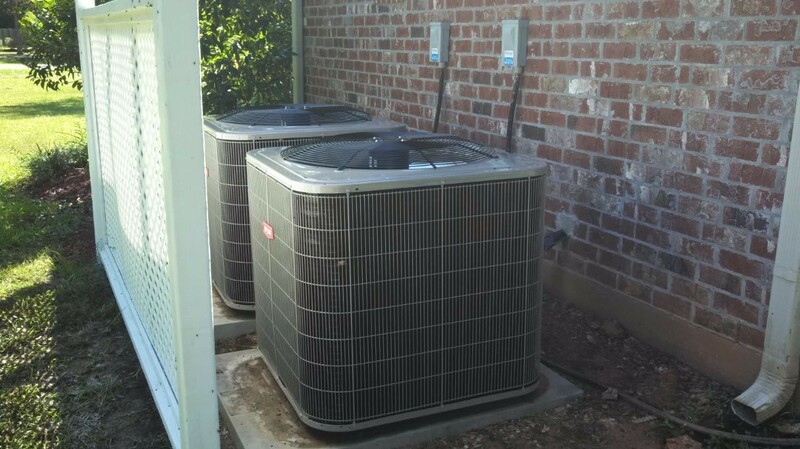 Whatever heating system you decide is right for your home, the Hammond, LA heating installation specialists at A-Professional Heating and Air Conditioning can complete the service properly. Call today to learn more. We are happy to help you keep warm and cozy this heating season.